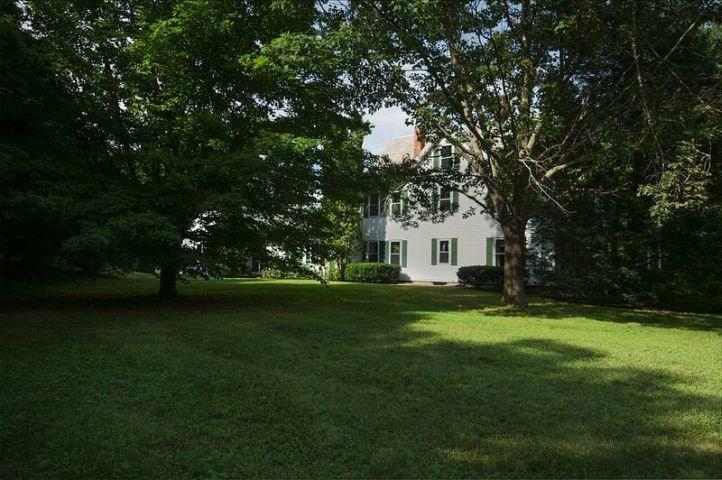 Amazing location and rare opportunity. 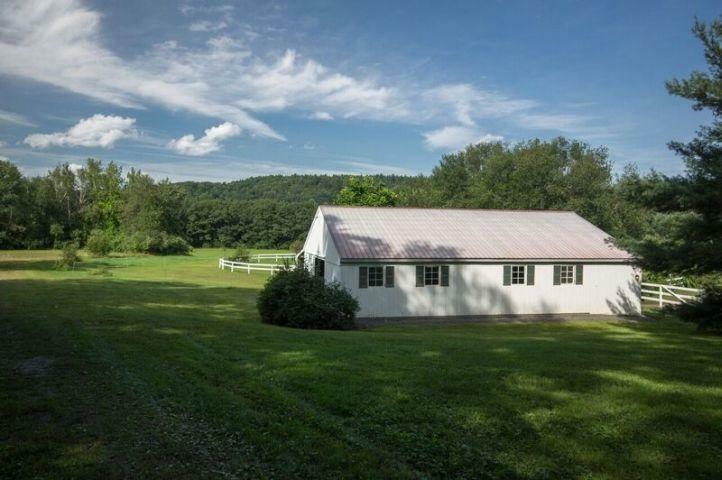 This beautiful 21.7 acre Vermont horse farm is on the border of VT, NH and MA, across the street from the Brattleboro Country Club & 18 hole golf course (groomed for cross country skiing in the winter), surrounded by protected land, set back from the road, and landscaped for privacy but minutes from town and I-91. Love alpine skiing? Mt. Snow is 25 minutes and Stratton is 40. 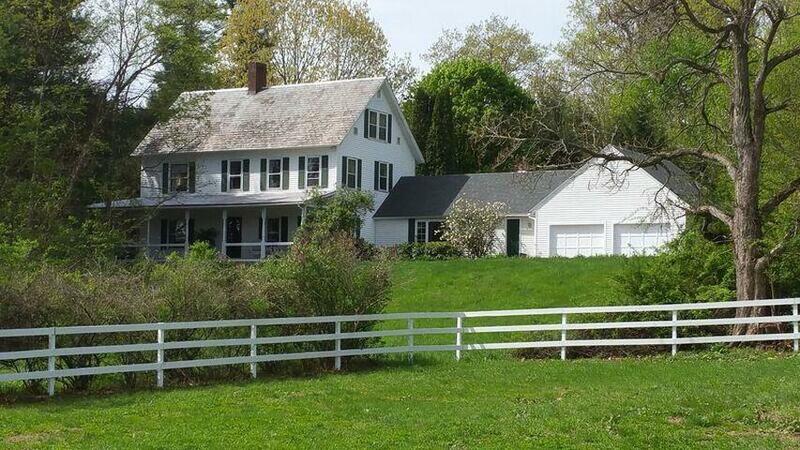 The original 1880s farmhouse was completely renovated, upgraded & expanded in 1981, when the family room/mudroom/garage & the 48 x 36 barn were built. Slate roof & vinyl siding for minimal upkeep. A classic wrap porch, oversized windows for light & air, finished 3rd floor with full bath & 2 bedrooms, 2nd floor with 2 bedrooms, bath & beautiful office, & 1st floor with formal dining room, living room with fireplace, bath, & an open concept kitchen/family room all create an ambience that makes this home special. The view from every window is of your land! The farm next door is protected land, & the farmer exchanges horse care for the use of some of the pasture for sheep, goats, and horses if desired. He will also hay pastures not used. 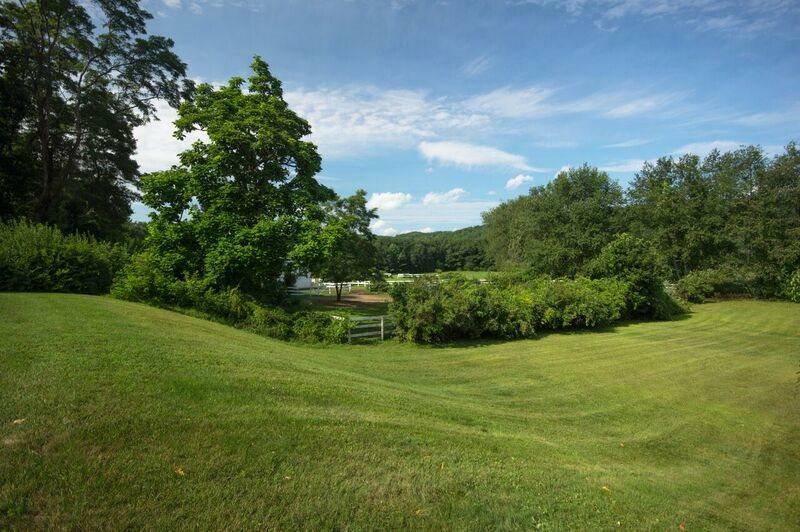 The paddock behind the barn has been graded for use as a hockey rink in the winter, & a meadow currently used for pasture was graded as a dressage ring with the jump practice area behind it. Trails on property & adjoining land. The access road to the barn & fields beyond was originally intended to serve a planned 5 lot subdivision.